-Audeath: We have been very busy trying to get the album in time for our show with Aversion, Hollow and SETH(France) in our hometown.. I get the Cds 1 day before our show! Lots of stress and work but finally the mission was successful! Was a great show and party! 2.In June you had released a new album, how would you describe the musical sound that is presented on the recording and also how does it differ from the stuff you have released in the past? -Audeath: We tried to capture the essence of what we are at the moment! Through all the process, from recording,mixing to mastering always focusing on the sound of the player.. In a raw attitude like Gorgoroth King's Era... People who know me will know in the first few seconds that this is me picking on those strings that way... The fury and unique drumming groove of Julius are real drum beats played by a real human with real dark energy to unleash... Not an edited, feeling-less over-compressed linear loop of samples that all sounds the same... We capture real human performance.. The bass presence of Morhatous is a big part of the sound too.. I think too many Black Metal bands don't cares about bass, for us it is a big part of the essence and energy! This is where reside power and darkness! The new stuff is the natural evolution of our first album 2000AD..
3.The band has been around since 2000 but waited until 2009 to release a demo and 2013 to release a full length, can you tell us a little bit more about the gap in between releases? -Audeath: In the beginning, that was hard to get a stable line-up for doing shows and albums.. Being far in the north, far from any big city.. Its hard to find people in the same mood sharing a compatible philosophy. In 2004, I join Cryptik Howling as a bassist! Black Empire was on the ice for maybe 2 years.. We had some shits in our life acting like poison in our veins... Black Empire is our way to survive this chaotic existence.. Our rage is the Spark which naturally returned the flame in our soul. -Audeath: Some specific elements like Death, War, fire and ice always have been driving us, inspiring us and pushing us... The subjects are about the real fails and weakness of human race... The fact that nobody cares about History, our leader are just marionettes, master in the art of manipulation. The people is enslaved to a ridiculous point, I cannot imagine how a system of slavery could be more productive, controlled and effective.. The funniest fact, the slaves don't even know they are used... This is what the lyrics are about! We fight for real freedom, humanity will face a wall very soon and its like no one consider mistakes of the past... We need to stop acting like we do or existence will just worth nothing in the end. 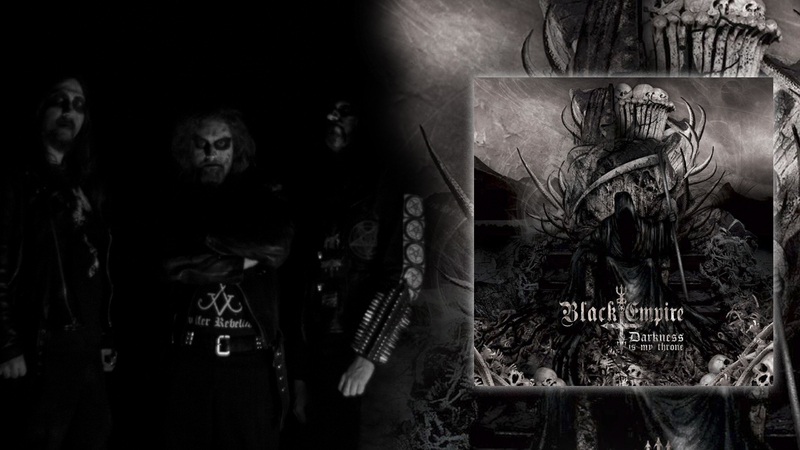 5.What is the meaning and inspiration behind the name 'Black Empire'? -Audeath: When we found that band name 15 years ago, we were inspired by the same actual thing that inspire us right now! Nothing has changed, this world is still a theater of misery... For me, Black Empire represent the black world we are living in, the blackness behind every civilizations, religions, dynasties, countries, companies.. All civilization becomes dust! 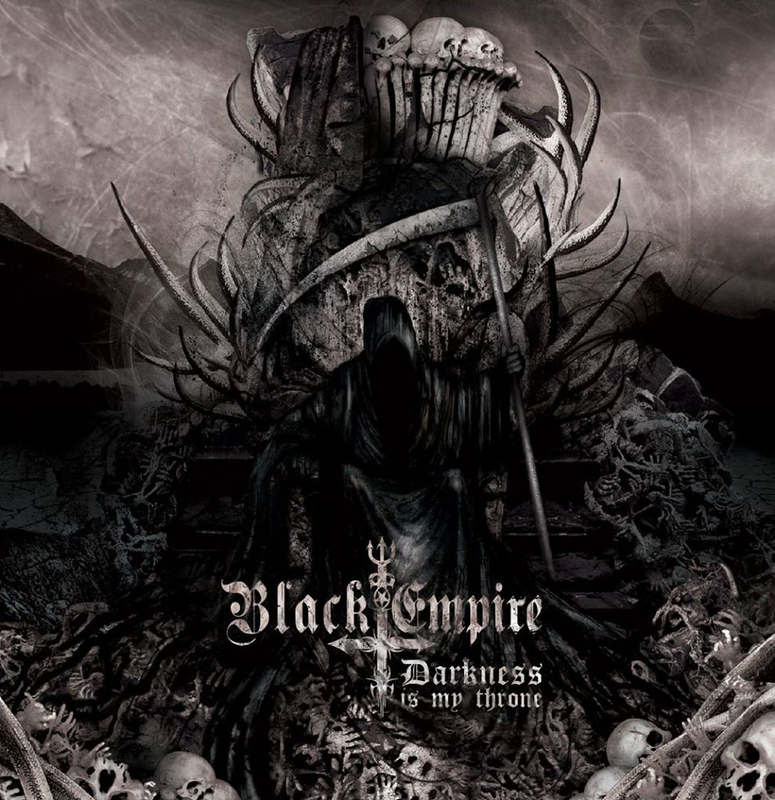 All empire are black... Black Empire represent everything I need for inspiration. -Audeath: The Messe des Morts 2.5 in Montreal with Nargaroth was amazing for us! The release of the new album 3 weeks ago with Seth was also a very memorable one! But, in my heart, the most epic stage experience for me was to be a part of the last performance of Eclipse Eternal... They become very good friends over years of touring, the fact they absolutely wanted us on the bill for their last show ever, means a lot for us! -Audeath: Yes! Some dates are not official yet so I can't talk about the tour.. We'll play in our area and few main city here in Canada... We are working on shows/festival outside Canada but those thing take time and money! This is not for 2015 but this is what we try to plans right now! Most of our supporters comes from other country and this is something we are aware of. -Audeath: Actually, I don't feel the need of a label.. We record in my garage and sound like we want to... We print all our shirt ourself in my basement and its useful for special models or keeping the merch inventory up to date.. We do self promotions and its going very well for now... Of course the idea to add a team in the works with more tools and visibility catch my attentions, but the offers we get are far... far away from our needs.. I have more interest into booking agency right now! -Audeath: We don't make the same thing twice, I think the evolution will be natural. The next album will be more dynamic and old school with more primal riff and beats. The new stuff we are already working on is a concentrate of Black Empire, more pure, evil and dark.. We can feel a war, you will be able to feel it too... through the songs and visual of we are actually in the works. -Audeath: Satan is the name of my dog... We are interested in spiritual essence.. Satan and God, Heaven and Hell, they don't exist like you and me... We use them for what they represent as good and evil... We praise the North!! If there is to be a omniscient giant kind of living entity somewhere, It is the Earth itself... If you get out of your noisy city to connect with the remains of nature still alive and open your eyes, you'll see your planet saying: HELP! Our view about Occultism or Spirituality are too complex to explain in few words.. We reflect the dark face of Man! We don't play the game of ''Who is the more evil''... In that case, George Bush, Steve Jobs and Justin Bieber are way more evil than anyone else. -Audeath: We are working on lots of stuff coming soon! We invite all your readers to visit us on any of those platforms.. Keep working for the metal scene! you rock! Thx for the interview!